So during my Tokyo trip back in October 2014 when I went to the theatre to watch Yamapi's movie, Kinkyori Renai. I came across a movie flyer outside of the theatre when I was just curious and looking through some of the movie pamphlets and booklets. 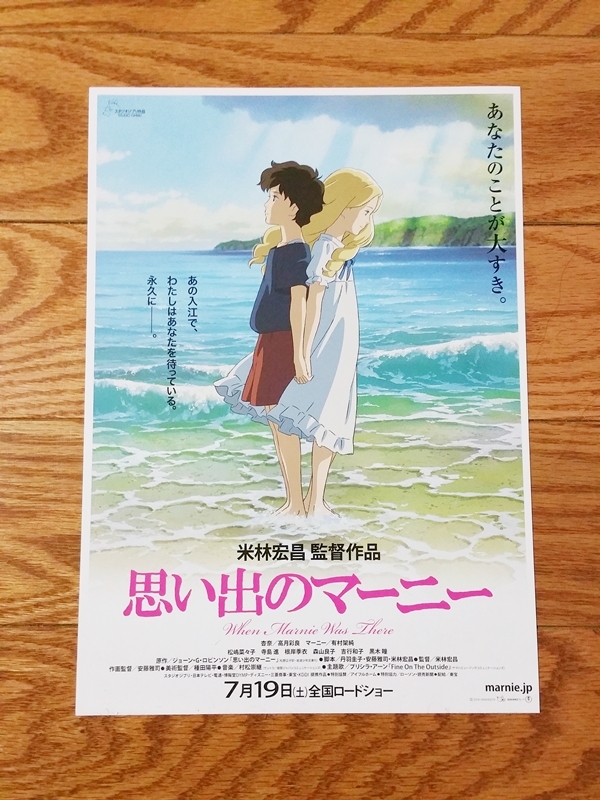 I saw one about a new Studio Ghibli movie called When Marnie Was There. It looked interesting to me and so I took the movie flyer and brought it home with me but I totally forgot I have it until I was cleaning and going through some of the stuff in my room some weeks ago and found it again. I decided to google the movie and see if I could find it online and I'm so happy that I did. The movie is simply beautiful and the story was heart breaking and touching. I can't believe it took me so long to watch this amazing and wonderful movie. 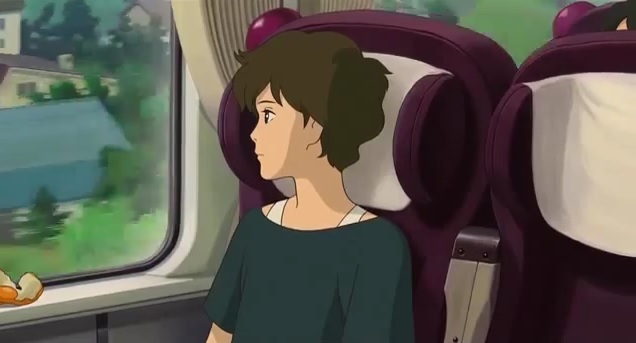 It is now my new favourite Ghibli movie! 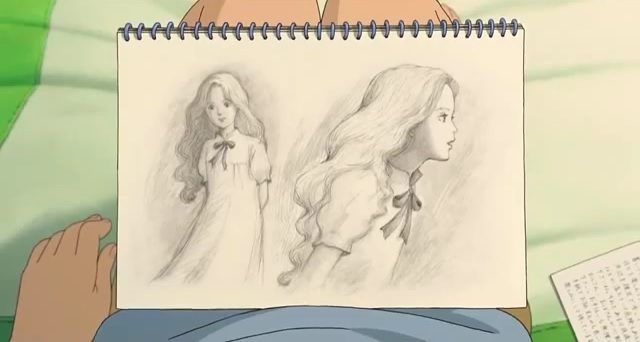 The story revolves around a 12 year old introverted girl named Anna Sasaki. 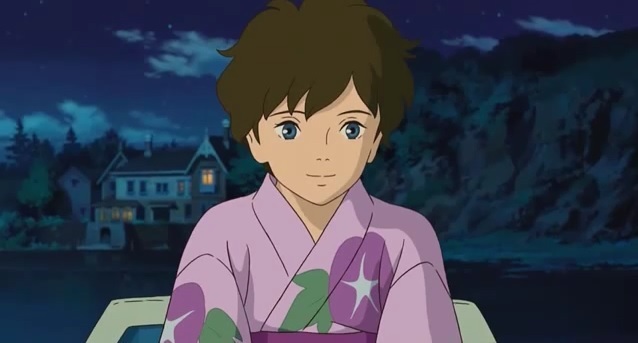 She's an orphan who lost both her parents at a young age and later got adopted by a couple, Yoriko and her husband. They live in the city of Sapporo. Anna is distant and unhappy with them and her behaviour towards them started to change one day when she found a letter from the government that her adopted parents were getting paid to take care of her. The letter made Anna upset and she refuses to discuss about her feelings with her parents and that she knows they're getting paid to take care of her. She doesn't have any friends and usually spends time alone drawing, which is her favourite hobby. 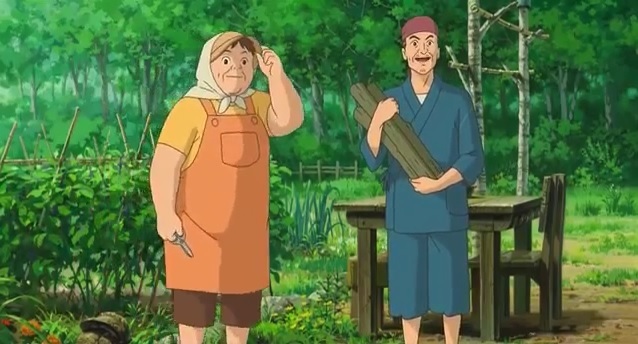 One day she collapsed at school from an asthma attack and her parents decided to send her to spend the summer with Setsu and Kiyomasa Oiwa, relatives of Yoriko, in a rural, seaside town where the air is clear, located between Kushiro and Nemuro. However, instead of spending time with the Oiwa relatives at the seaside town, she often goes out alone to explore with her sketch book. 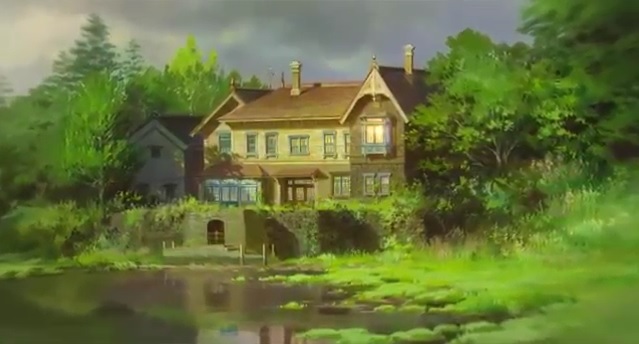 One day she discovered a beautiful and mysterious mansion located in the woods across from a river. She became immediately attached to the mansion and felt that it looked familiar to her. 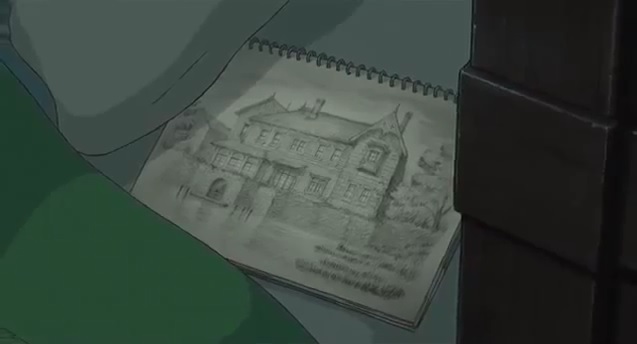 She later asked the Oiwa relatives about the mansion and they have told her that it has been empty for a very long time and no one lives there. 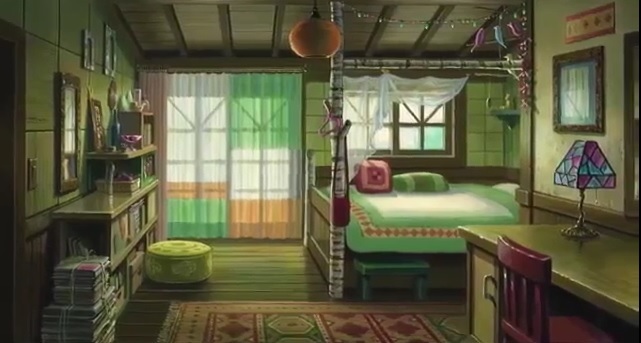 Ever since Anna saw the mansion, her mind couldn't stop thinking about it. She even had dreams about it where she sees a girl with blonde hair from the window getting her hair brushed by an old maid. One night while looking at the mansion from the river side, she saw lights lit up from the mansion. So she swaddled on a boat that was left on the river side to go across to the mansion. When she reached the mansion, a blonde girl (the same one she was has been dreaming of) rushes out from the mansion to greet her. 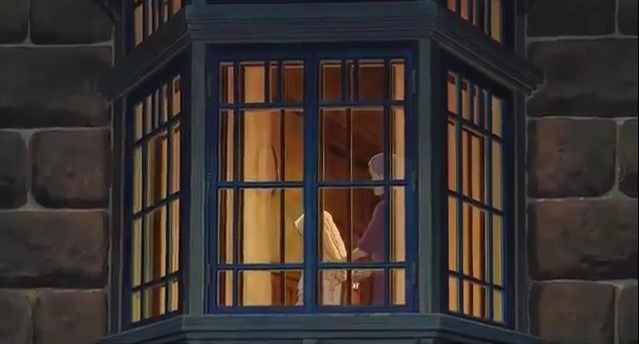 They talked and chatted and Anna tells the girl she has dreamed about her before in her dreams. 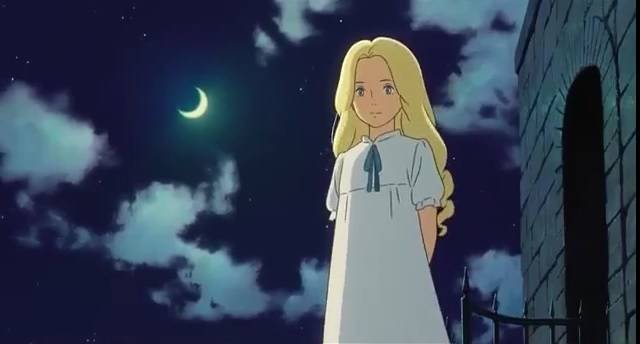 Marnie, the blonde girl tells her that she has been watching Anna all along and has been waiting to meet her. 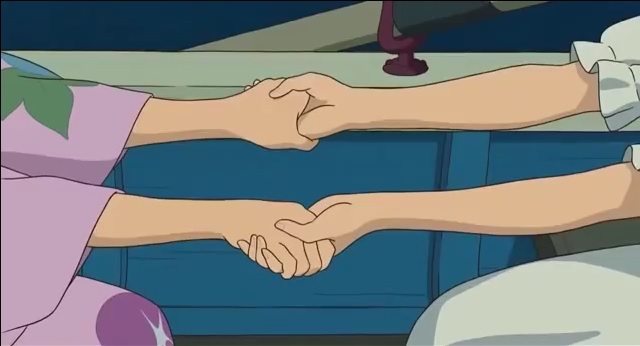 The two immediately became close to each other and Marnie asked Anna to promise and keep their meeting as a secret. She will not tell anyone about Anna and Anna would not tell anyone about her. They continue to meet for a few more occasions until one day Marnie seem to have disappeared and Anna haven't seen her for 2 weeks. 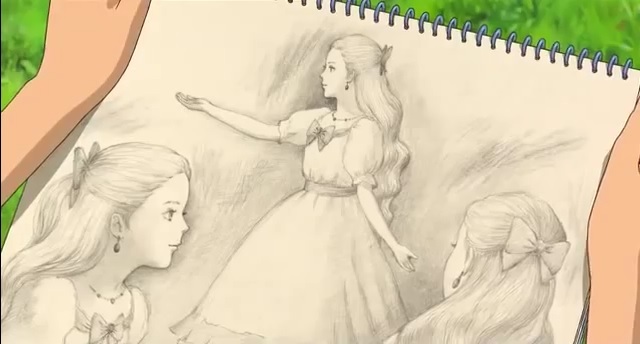 One day when Anna was at the grass field across from the mansion sketching in her sketch book of Marnie. An older woman joins her and commented that the girl she drew reminds her of a girl she used to know from a very long time ago. 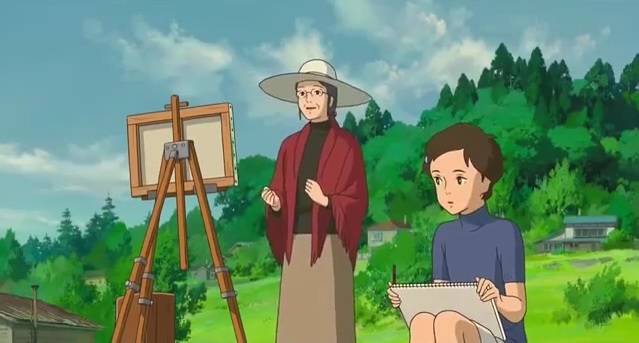 The older woman asked if Anna could take a look of her painting that she was working on and Anna pleasantly agreed to. 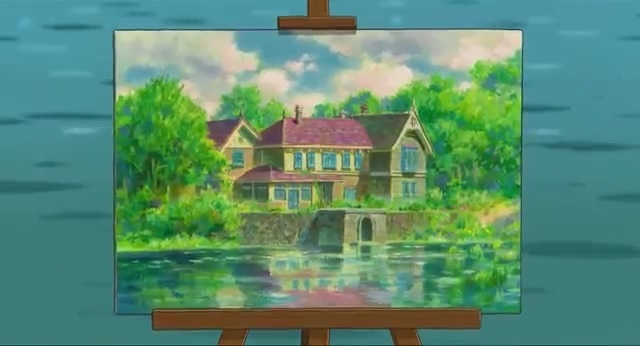 The older woman has been painting the same mansion Anna admires and Anna complimented saying her panting was beautiful. 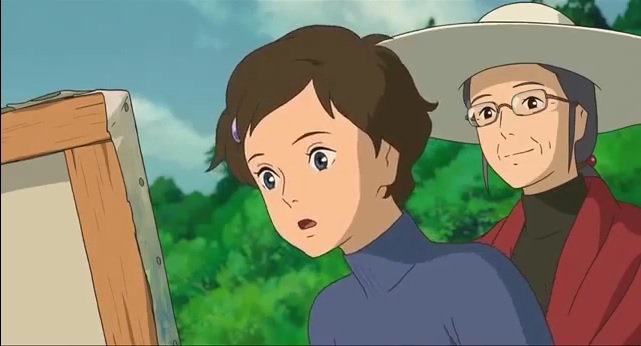 In the latter part of the story, you find out the older woman actually has some relations to Marnie in which she later tells Anna about a sad story that happened to Marnie. What is the story? 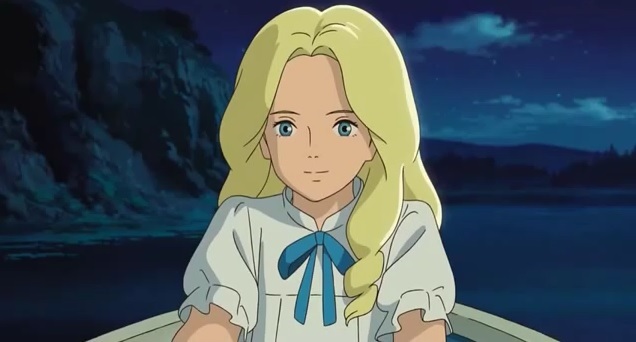 Is Marnie a real person? Is she just imaginary or is she a ghost? You'll have to watch the movie and find out on your own as I don't want to spoil it for anyone who hasn't seen the movie yet. 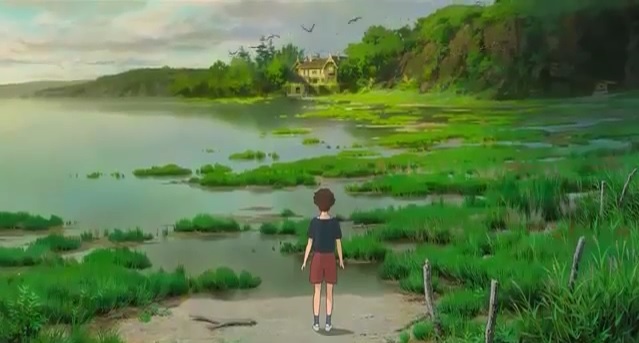 My thoughts on the movie: At first impression the movie reminded me a lot of another Ghibli movie called Arriety. 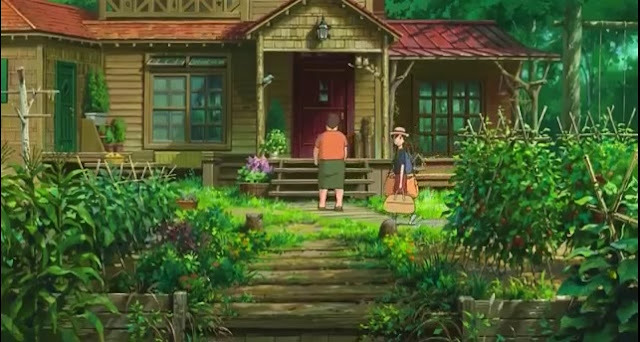 Which was also a movie about a friendship between a sick boy who moved to a relative's place to live because he has a heart disease and a girl he discovered who lives there as well. Except in this movie here it's a friendship story about two girls. 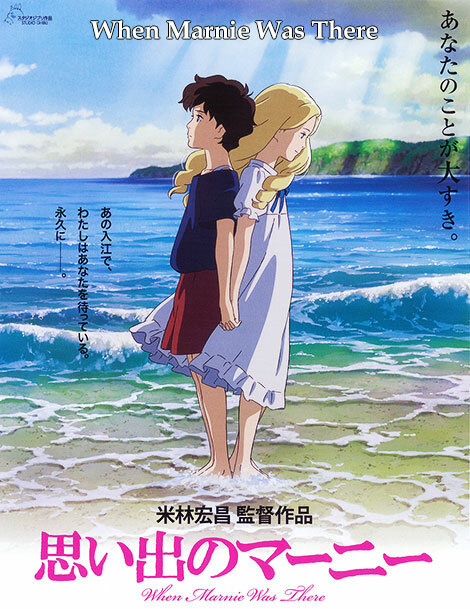 I later found out after googling some info that this movie was produced by the same director who made the Arrietty movie. Now that certainly explains the similarities in the two movies, lol. After thoughts of the movie: The movie really leaves you with an unexpected sadness at the end but in a touching and heart warming way. I couldn't hold back my tears at the end of the movie because of how beautiful it was and the important message it conveys to the viewers. 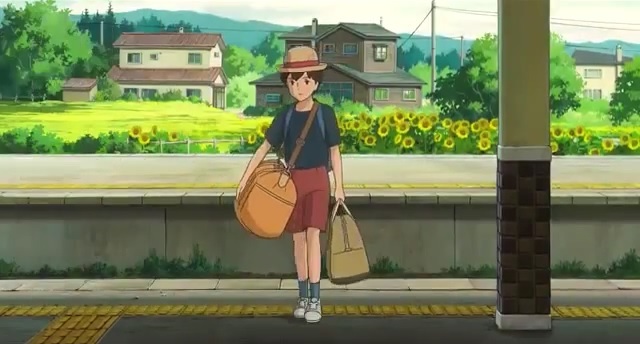 It will definitely make your heart feel nostalgic, especially since the movie really speaks and relates to my own childhood experience as well. As a child growing up, I was introverted and didn't have many friends and one of my favourite hobby was also drawing. 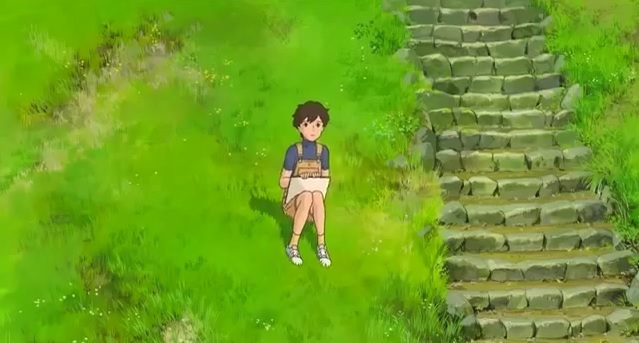 So while watching the movie, I felt like I connected well with the main character and I could understand some of the pain and sorrow she was going through. If you have time, please do watch the movie as I would highly recommend it. The ending is totally unexpected and you'll be hit with all sort of mixed emotional feelings. Do have some tissues prepare if I may warn you. But overall the ending leaves you with a sad but yet satisfying feeling at the same time. It's quite hard to explain, one will just have to watch it to understand and feel what the movie brings you. Here's the movie trailer for you to check out.